Black Wolf T-shirt from The Mountain® featuring the wildlife artwork of Scott Ian Barry. 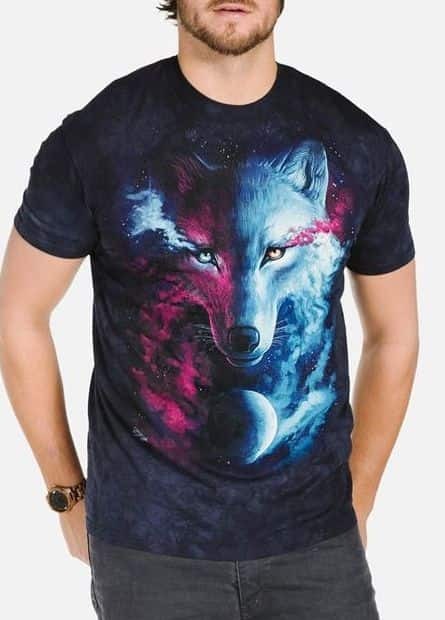 Show off your inner wolf and look cool at the same time, wearing this black wolf t-shirt! This is not just a men's t-shirt but the classic cut makes it suitable for women too! The Mountain® Big Face image features a black wolf with expressive eyes. Wear your black wolf t-shirt with a pair of jeans, or dress it up a bit and add a casual jacket to complete the look. Did you know? The black wolf is a melanistic colour variant of the grey wolf. Black wolves are rare in Europe and Asia. They are more common in North America. Artist Corner: Scott Ian Barry is an environmentalist, author and photographer. He has worked and lived with wolves and aided in legislation to protect them. 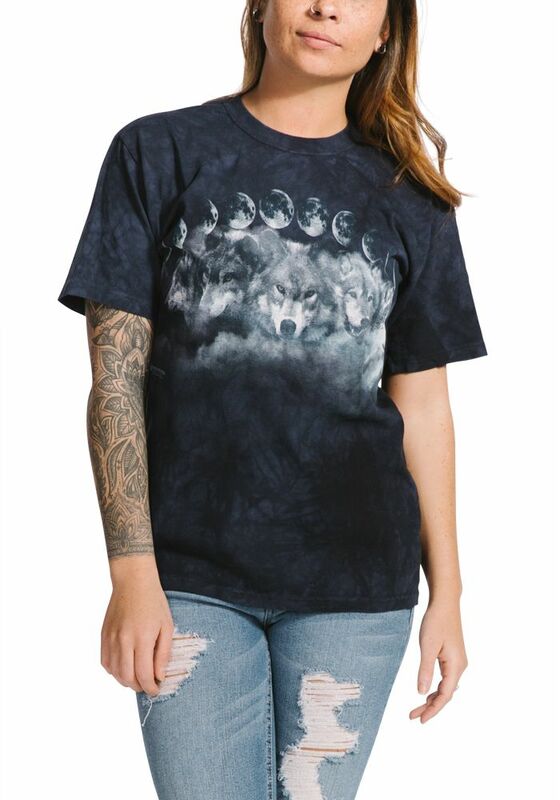 His beautiful wolves can be found on our t-shirts and gift-ware.